Description: This is for one can. 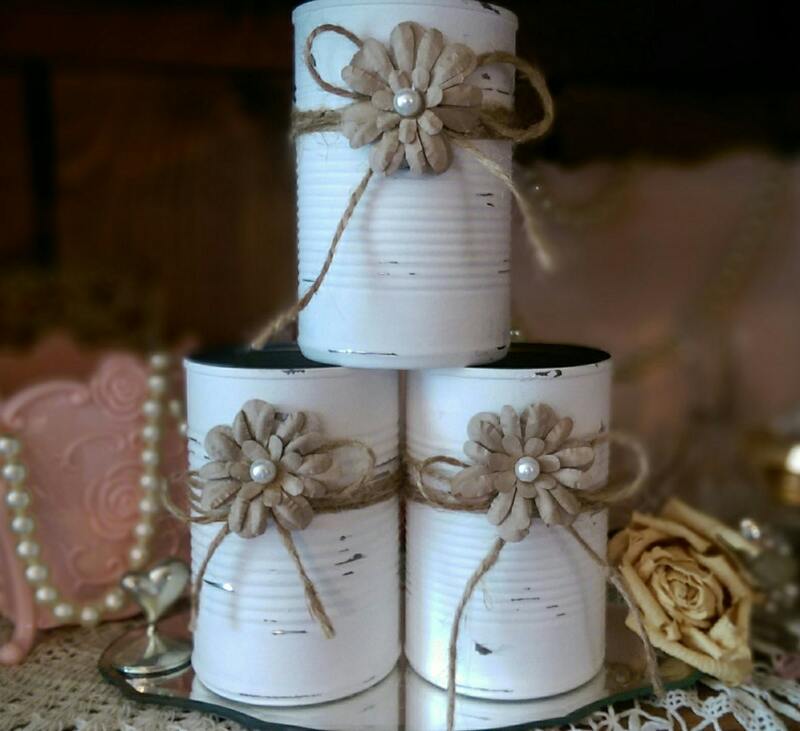 Handpainted white distressed shabby chic tin cans. Perfect to plant seedlings, pencils, pens, brushes, candle holder, wedding, shower centerpieces, baby nursery, home or office decor etc. Really sweet and finished with a jute string, handmade crafted paper or burlap flower with added pearl in the center. The flowers might vary a tiny bit different then what is shown. This is absolutely adorable! Perfect for Wedding decor. Thank you so much. And thanks for the clothes pins. Too cute. I’m gonna have to incorporate them into the Wedding decor. Too cute not to. Thanks again. Love this Tin Can with its vintage vibe its so sweet! :) And thanks so much for the surprise gift that you added, Shell! <3 Love it!